The acclaimed author of Founding Gardeners reveals the forgotten life of Alexander von Humboldt, the visionary German naturalist whose ideas changed the way we see the natural world--and in the process created modern environmentalism.NATIONAL BEST SELLEROne of the New York Times 10 Best Books of the YearWinner of the Los Angeles Times Book Prize, The James Wright Award for Nature Writing, the Costa Biography Award, the Royal Geographic Society's Ness Award, the Sigurd F. Olson Nature Writing AwardFinalist for the Andrew Carnegie Medal for Excellence in Nonfiction, the Kirkus Prize Prize for Nonfiction, the Independent Bookshop Week Book AwardA Best Book of the Year: The New York Times, The Atlantic, The Economist, Nature, Jezebel, Kirkus Reviews, Publishers Weekly, New Scientist, The Independent, The Telegraph, The Sunday Times, The Evening Standard, The SpectatorAlexander von Humboldt (1769-1859) was an intrepid explorer and the most famous scientist of his age. In North America, his name still graces four counties, thirteen towns, a river, parks, bays, lakes, and mountains. His restless life was packed with adventure and discovery, whether he was climbing the highest volcanoes in the world or racing through anthrax-infected Siberia or translating his research into bestselling publications that changed science and thinking. Among Humboldt's most revolutionary ideas was a radical vision of nature, that it is a complex and interconnected global force that does not exist for the use of humankind alone. Now Andrea Wulf brings the man and his achievements back into focus: his daring expeditions and investigation of wild environments around the world and his discoveries of similarities between climate and vegetation zones on different continents. She also discusses his prediction of human-induced climate change, his remarkable ability to fashion poetic narrative out of scientific observation, and his relationships with iconic figures such as Simón Bolívar and Thomas Jefferson. Wulf examines how Humboldt's writings inspired other naturalists and poets such as Darwin, Wordsworth, and Goethe, and she makes the compelling case that it was Humboldt's influence that led John Muir to his ideas of natural preservation and that shaped Thoreau's Walden. 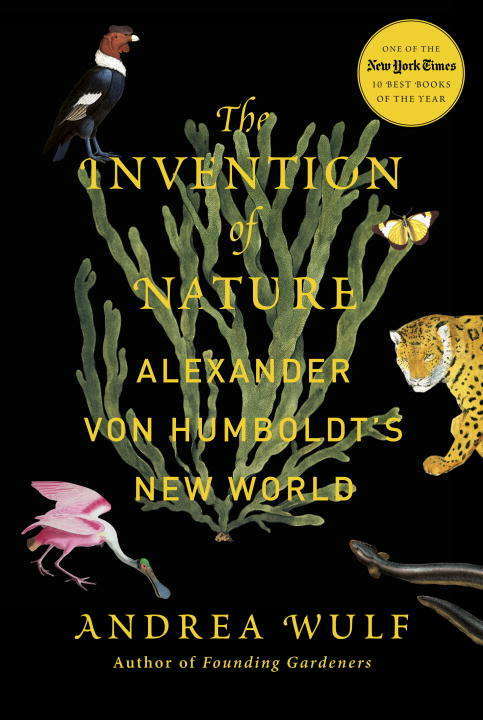 With this brilliantly researched and compellingly written book, Andrea Wulf shows the myriad fundamental ways in which Humboldt created our understanding of the natural world, and she champions a renewed interest in this vital and lost player in environmental history and science.From the Hardcover edition.